Joyce Kaser is a Senior Program Associate in the Science, Technology, Engineering, and Mathematics (STEM) Program at WestEd. She has extensive experience in program evaluation, primarily the evaluation of STEM programs. She has served as a team member for the development of two frameworks for the National Assessment of Educational Progress: Science, 2009 and Technology and Engineering Literacy, 2014. Joyce also led the development of the background variables for students, teachers, and administrators participating in NAEP and was co-lead of the standard setting for the NAEP 2009 science project. Joyce has had numerous experiences in evaluating STEM professional development, including co-developing an external validation system for professional development and student enrichment programs. She is first author of , also published by Corwin. Joyce has been the facilitator for the New Mexico Secretary of Education’s Math and Science Advisory Council and has evaluated National Science Foundation educational outreach projects. 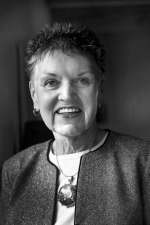 Prior to joining WestEd, Joyce directed the Washington, D.C. office of The NETWORK, a research and development organization, headed up an equity assistance center, and served as a district administrator and high school teacher. Currently she is involved in research of mathematics and science programs, looking specifically at learning progressions in science, computer-based tutoring systems, and program implementation. She holds an EdD from The American University.